Collins Booksellers - Arterial and Venous Access in the Cardiac Catheterization Lab by Fahmi Farah, Beau Hawkins, Faisal Latif & others, 9780813572178. Buy this book online. Percutaneous cardiac and endovascular procedures are performed by a variety of interventional physicians and continue to evolve and expand. One of the most important steps in performing these procedures is vascular access and their Achilles heel is vascular access site complications. 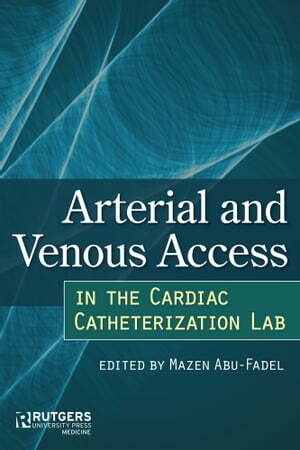 This volume is intended to help the clinician by providing a practical overview of the techniques and technologies used in top catheterization laboratories to access the arterial and venous beds. Dr. Mazen Abu-Fadel and his contributors, part of the renowned cardiovascular team at the University of Oklahoma Health Sciences Center, carefully walk the reader through the various techniques used to obtain vascular access into most arterial and venous sites. They thoroughly describe current data, techniques, advantages, risks, and benefits of each vascular access site. Covering everything from anatomic landmarks to closures devices, Arterial and Venous Access in the Cardiac Catheterization Lab offers a complete overview of each procedure. In addition, it provides an up-to-date guide to the best medical technologies and equipment used when performing these procedures. Arterial and Venous Access in the Cardiac Catheterization Lab is an invaluable resource for a wide range of clinical personnel, from attending physicians and trainees to nursing staff and vascular technicians. Written by experienced leaders in the field, it demonstrates how to perform complex, risky procedures while providing patients with expert care.